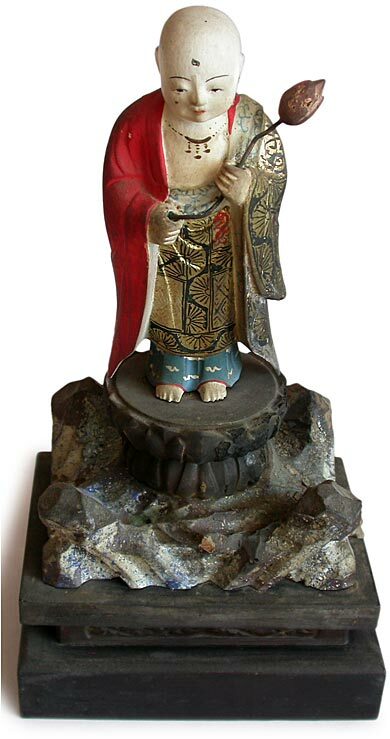 A rare wood shrine of Jizo as a young monk holding a budding lotus, standing on a double lotus pedestal above a jagged boulder, a symbol of the “Earth Matrix”, as his name Ksitigarbha is literally translated in sanskrit. 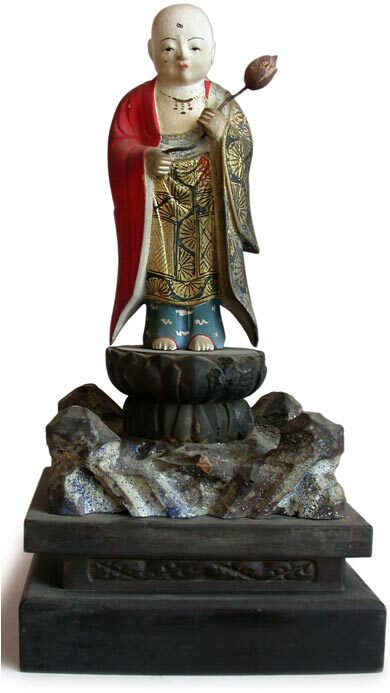 He is regarded as the Bodhisattva of hell bounded beings, and also believed to be the Guardian of children and travelers. 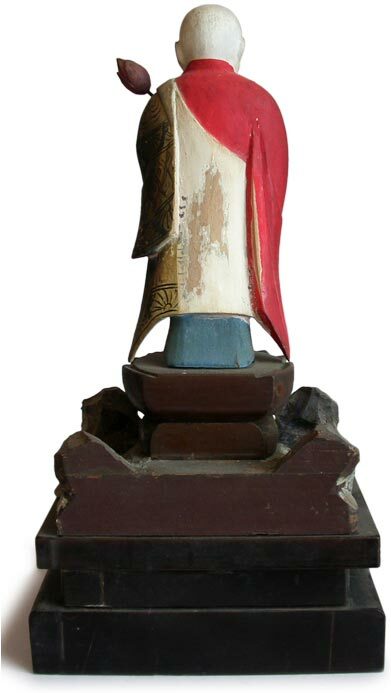 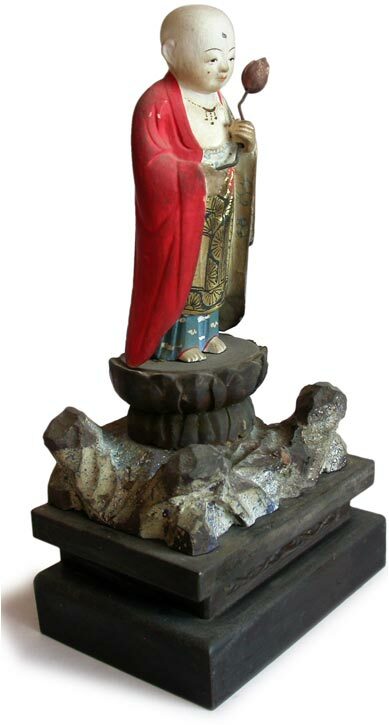 Thus this beautifully painted wood statue of Jizo depicts the bodhisattva as a charming teen boy, with a leaf shaped third eye, cherry colored lips and large earlobes, eyes down cast in meditative gaze, which emits a spiritual presence that enlivened this small home shrine. 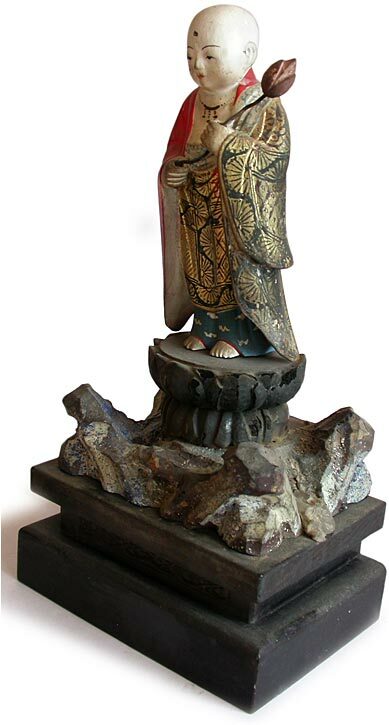 In spite of its age, we observed only minor abrasions on the figure, and some paint yellowing from incense rituals. 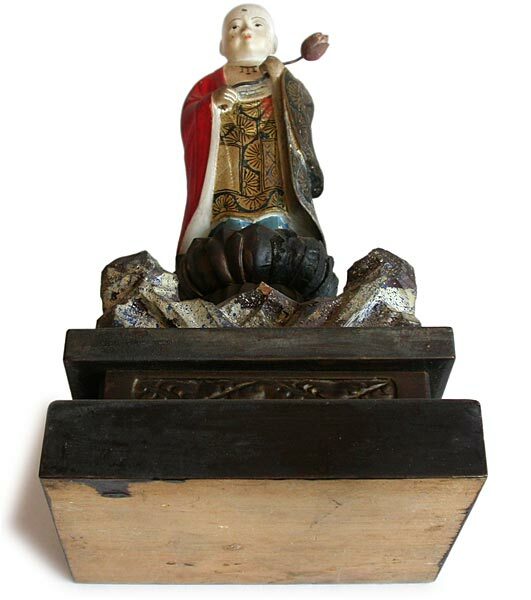 Overall the shrine is in very good condition.